Between 2001 and 2009 a number of important policy documents were published, in particular in England, Scotland and Wales. Although they are no longer policy, they are in many cases the most recent official strategic documents on languages. In the autumn of 2006, Alan Johnson, Secretary of State for Education and Skills asked Lord Dearing to work with Lid King, National Director for Languages in order to review the Government’s language policy. In particular he was asked to consider the reduction in numbers taking languages to GCSE and to make proposals to increase take up among this age group (14-16). 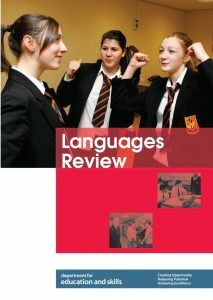 In the event the Review was a comprehensive consultation and analysis of languages education and made a broad set of proposals for reform, including a key proposal to make primary languages statutory. The review was welcomed by the Government and its main proposals were being implemented until 2011. Associated with the review there is also a consultation document which can be accessed here. 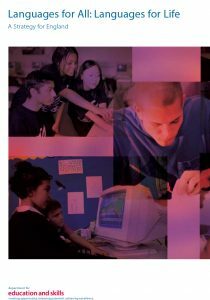 Published in December 2002, Languages for All; Languages for Life A Strategy for England, set out the Government’s 8 year plan to transform the nation’s language capability. The core objectives were to improve learning and teaching, introduce a national recognition scheme and increase the numbers of language learners. The cornerstone of the strategy was the introduction of an entitlement for all pupils ages 7-11 to learn a language by 2010. Click here to download The Language Company’s overview of the National Languages Strategy (6 pages, PDF, 1MB). There were important synergies between this International Strategy and The National Language Strategies. England was not the first part of the UK to develop a languages strategy. 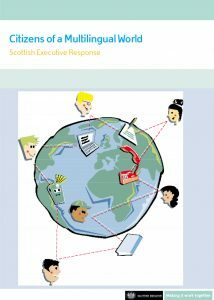 In Scotland in the year 2000 a Ministerial Action Group produced a comprehensive report and set of proposals for responding to the challenges and opportunities of Multilingualism. Although not all of the proposals were implemented by the Scottish Government, this set an agenda which was regularly updated, until superseded by the Curriculum for Excellence. 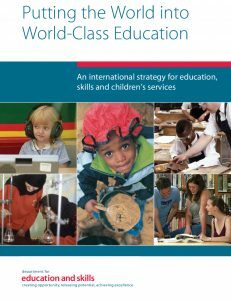 Education Scotland published its strategy for Language Learning in Scotland in 2012, setting out the country’s 1+2 policy. A precursor to the current Global Futures strategy was “Languages Count”. Published in April 2002 this set out a vision for the importance of languages in Wales. It too aimed in particular at take-up and standards post 14, seeking to increase recognition by schools, pupils, parents and employers of the importance of foreign language skills and to ensure that language learning was linked to the learning of English and Welsh. 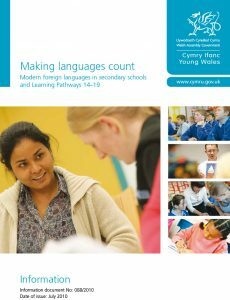 An action plan for languages in secondary schools Making Languages Count was published in 2010.